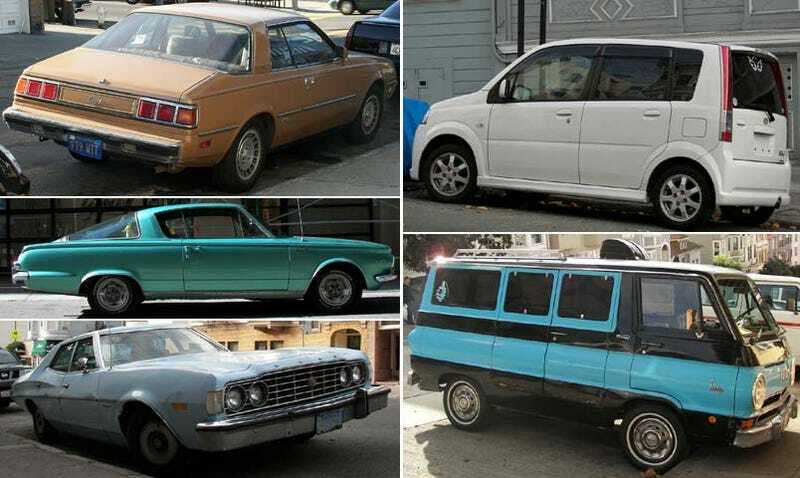 DOTS-O-Rama Sunday, San Francisco Edition: Torino, Tradesman, Sapporo, Barracuda, And Move! This is Down On The Street Bonus Edition, where we check out interesting street-parked cars located in places other than the Island That Rust Forgot. Next up are some high-quality photographs, courtesy of Wimbles. I'm relatively new to Jalopnik but I've always been interested in your Down on the Street series. I'm a college student going to school in San Francisco and I see a lot of cool old cars parked on the streets when I'm in town. Lately I've been photographing more and more of them in DOTS style and I figured I'd give it a shot trying to submit some for DOTSBE. For starters, here's a 1973 Ford Torino sedan. This is probably the first one I've ever actually noticed on the street and caught my eye because I'm used to seeing the arguably better-looking Gran Torinos. Fancy seeing a plain blue, beat-up standard '73 Torino in a place as progressive as San Francisco! It was seen parked on Telegraph Hill. I'm not sure about the year of the Dodge A-100 Tradesman, but it looks to be approximately a 1968 model judging by the style of badging and the reflectors on the doors. I could be wrong. Until I saw this one, I wasn't aware that the Tradesman name was used prior to the B-Series vans of the '70s. It appears to be in generally good condition for its age, though it has some worrisome rust on the passenger side doors. 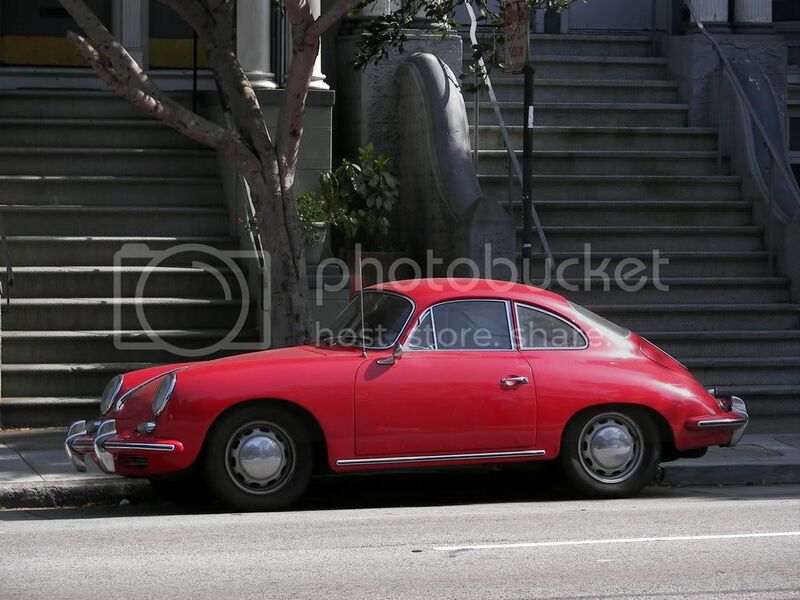 It was seen parked on Telegraph Hill near COIT Tower. 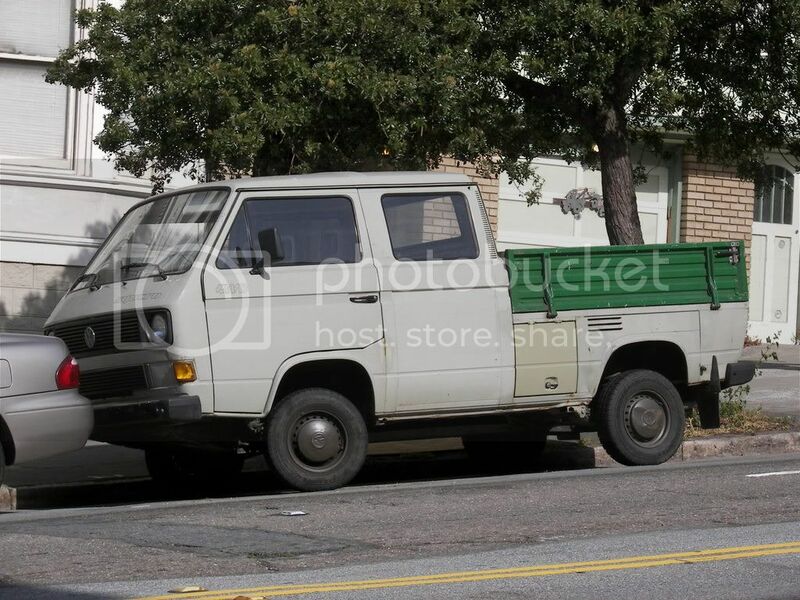 This van has been seen on DOTSBE before, but it was part of a series of street parking profile shots by Martin Taylor. Continuing the Mopar series is a 1965 Plymouth Barracuda. I see this car parked and driving every so often and have had two opportunities to photograph it (evident from the markedly different weather in the various pictures). It is equipped with the 273CI Commando V8. It was photographed in the Financial District. Interestingly enough, I have seen another Barracuda (brown, '67-69) parked on this same street in the past and have gotten a couple of snapshots of it, but nothing DOTS-worthy. Next up for this run is a 1979 Plymouth Sapporo which lives just north of Alamo Square. I have seen this car driving once. I actually stumbled upon its home by sheer coincidence while returning from a long walk to the Panhandle in a fruitless attempt to grab some DOTS photos of the Porsche 356 and Volkswagen Transporter Syncro 4WD extended cab utility body pickup I had briefly snapped on a previous date. Lastly, we have a very interesting find. A 2002-05 JDM Daihatsu Move Custom, probably fresh off the boat in America as it has no plates. But they wasted no time in decking this little kei car out inside with everything kawai they could find. It has a sticker on the rear hatch from Uemuru Motor, which is apparently an auto wholesaler in Callao, Peru.